Option: Choose an OptionONLY 1 LEFT! 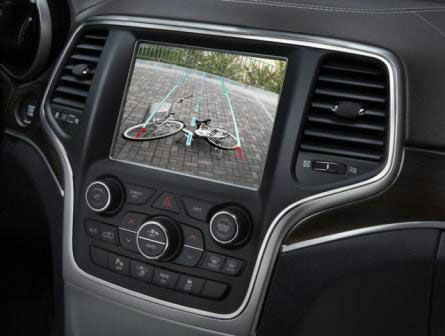 Production Back Up Camera system for the 2014-2018 WK2 Grand Cherokee that integrates into the Back up camera ready radios. Includes wide-angle weather-proof camera, replacement tailgate handle assembly, wiring harness from camera to radio, installation hardware and instructions. Production Style Backup Camera, works with the RA2, RA3 & RA4 radios. Will not work with Summit. Tailgate Handle will need to be painted prior to installation. 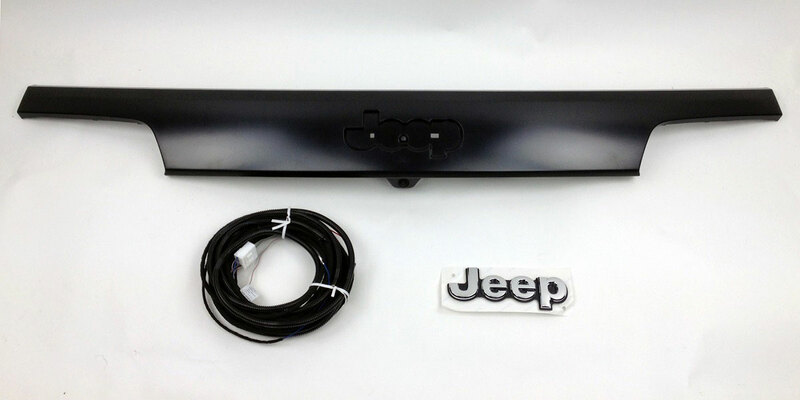 Back Up Camera kit will need to be programmed by your local Jeep dealer. Typical installation time is 4-5 hours. The quotes received were well over $1500. Just too expensive to have installed for me. Was really looking forward to gaining more visual support when backing up. The installation was not hard, but long, I did not paint the trim but instead swap it from the one from my car. The direction was clear, even the wiring directions. I bought a trim removal tool at Amazon, which made removing the panels much easier than using a screwdriver. Lastly. make sure you check with your local dealer on how much they will charge from programing it. I read it on discussion boards that dealers would charge 0 to a maximum of .5 hrs worth of labor. But in the bay area, all the dealers were charging 1~1.5 hrs worth of labor, for a 10 min job -_-. Consrequire dealer programming, which might add additional cost to the project. My brother installed this in under 2 hours. He didn�€™t even have to use the replacement piece that was with the purchase. Works great!! I purchased this back up camera at the beginning 2016 and it is the best purchase I've made since I got my 2015 GC. I purchased it for right around $300 and had it professional installed at a dealership for about the same. $600 all in was a steal. Over two years later and I don't know what I'd do without it since I almost always have my massive dog blocking my rear window. I had to have the unit professionally installed, since the camera had to be set up with my onboard computer. Ok. Lo he recibido correctamente y on time. Very fast delivery, excellent service !!!!! Quick delivery, fair price, product as described. Works great. I did screw up the electrical connections and almost ruined the harness. 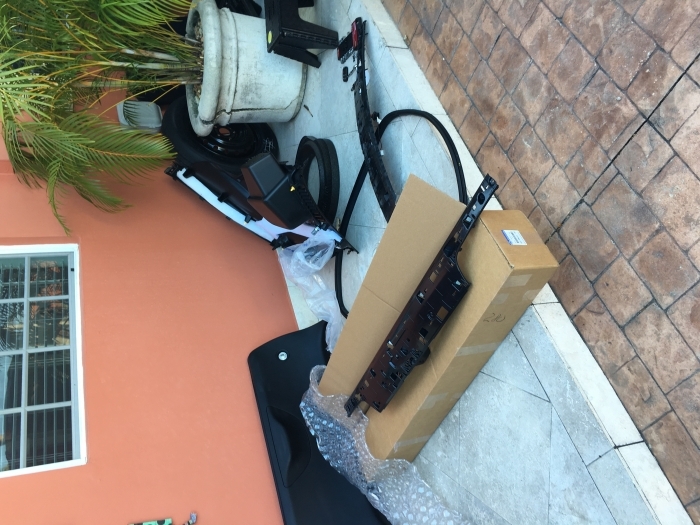 Would recommend installing everything and having the dealer make the connections. I do a lot of towing so having this camera is well worth the money. The install is very involved. Give yourself about five hours. The directions are good but I was able to find a YouTube video that helped with the tricky parts. You can use the camera with the the piece it says to paint. I was able to remove the painted piece that came with my truck and use it with the the new camera piece. It's very difficult to do this without breaking some of the tabs, but you only need to be careful with he pieces you're keeping. Therefore hen you remove the new piece they tell you to paint, you can break all the tabs, just don't damage the new piece with the camera on it. Likewise, when you remove the painted piece that came the vehicle, you need to make sure you don't break any but you can cut the slots out of the piece you're replacing if you need to. After the dealer activates the vin for, you need to go into settings to activate the guidelines. The dealer told me those wouldn't work with this, but they do. Awesome Oem kit. Good instructions and not that difficult of an install. Had an aftermarket kit in before and the quality of the Oem camera is so much better. Does this give you the grid lines on the screen indicating the direction/position the car is heading like factory fit backup camera? I installed this item on my 2014 WK2 Altitude about 2 weeks ago. It is a fairly in depth install with a good deal of interior panel disassembly. Corey from the team at justforjeeps.com helped me get through a few hicups in the instructions along the way. Couldn't be happier with the final product! In my opinion I wouldn't buy jeep parts from anywhere else! ProsFactory Fit, Finish, and Function!